FALL RIVER, Mass. 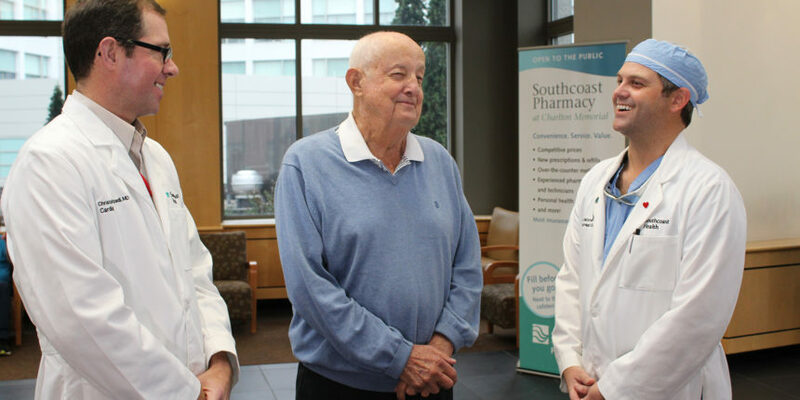 — Southcoast Health announced today that its cardiovascular program at Charlton Memorial Hospital recently became one of the first in southeastern Massachusetts to offer MitraClip therapy — a minimally invasive treatment option for people with a severe leak in the mitral valve who are too high-risk for traditional open heart surgery. “The mitral clip procedure allows certain patients with mitral regurgitation to have there valve disease treated with a catheter which greatly reduces there hospitalization and recovery time,” said Dr. Adam Saltzman, Medical Director of the Structural Heart Program at Southcoast Health. The condition, called mitral regurgitation (MR), is the most common heart valve disease. A leak in the mitral valve occurs when the flaps, or doors, do not close completely, allowing blood to flow back into the heart as it pumps. The heart has to work harder, as a result, to keep blood flowing and can raise the risk for life-threatening stroke and heart failure. When MR becomes severe, it can profoundly affect a person’s quality of life by causing shortness of breath, extreme fatigue, and other debilitating symptoms. 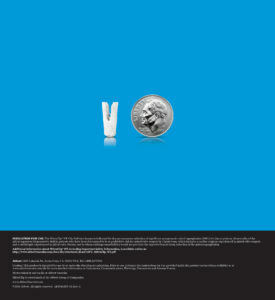 For select patients who are too high-risk for surgery, MitraClip NT now offers a safe and effective treatment option. The small MitraClip NT clip is guided into place using a thin tube (or catheter) guided through a small incision in a leg vein. The clip is then attached to the flaps of the mitral valve to help it close more completely and restore normal blood flow. Patients tend to have a short hospital stay and experience improved heart function and symptoms almost immediately. “The mitral clip program is an example of Southcoast Health’s commitment to invest in advanced technologies in order to provide contemporary treatments in this community for a variety of cardiac conditions,” said Dr. Margaret Ferrell, Physician-in-Chief of Cardiovascular Services at Southcoast Health. More information about MitraClip therapy is available online at mitraclip.com. The MitraClip® NT Clip Delivery System is indicated for the percutaneous reduction of significant symptomatic mitral regurgitation (MR >3+) due to primary abnormality of the mitral apparatus [degenerative MR] in patients who have been determined to be at prohibitive risk for mitral valve surgery by a heart team, which includes a cardiac surgeon experienced in mitral valve surgery and a cardiologist experienced in mitral valve disease, and in whom existing comorbidities would not preclude the expected benefit from reduction of the mitral regurgitation.1 More information, including important safety information, can be found at www.mitraclip.com.